Dry Needling is a manual therapy technique used in order to help alleviate pain and dysfunction and to reduce inflammation. The treatment involves using a thin monofilament needle that is "dry" as it does not contain any solution or medication. The needles, are inserted into the areas of the muscle which demonstrate tension in order to elicit and twitch response and cause micro trauma. The tension inhibits the blood flow to the area meaning less oxygen gets to the tissue for healing. In addition, due to the tension, waste products that muscles build up from leaving the injury site result in the body producing scare tissue around the area. The built up scar tissue prevents the muscle from lengthening and shortening properly which can cause compression and irritation of the nerves which can then lead to improper muscular firing patterns. Ultimately, this can cause bio-mechanical disturbances in our movements and ability to use our muscles. When the needle is inserted into the body, the body considers the needle to be a foreign invader and will activate the immune response which helps to stimulate increased blood flow and facilitate the healing process and elimination of the chemical buildup and dysfunctional firing pattern (signal) at that particular point(s) in the muscle. What areas of the body and conditions can it be used for? The most common areas of the body that dry needling can be used on are: shoulder, ankle, thigh, lower leg, elbow, neck, and lower back. At Oxford Physical Therapy Centers, Dry Needling is not the only treatment technique that you would receive. We combine Dry Needling with other aspects of physical therapy such as a personalized physical therapy program including manual therapy and therapeutic exercises. 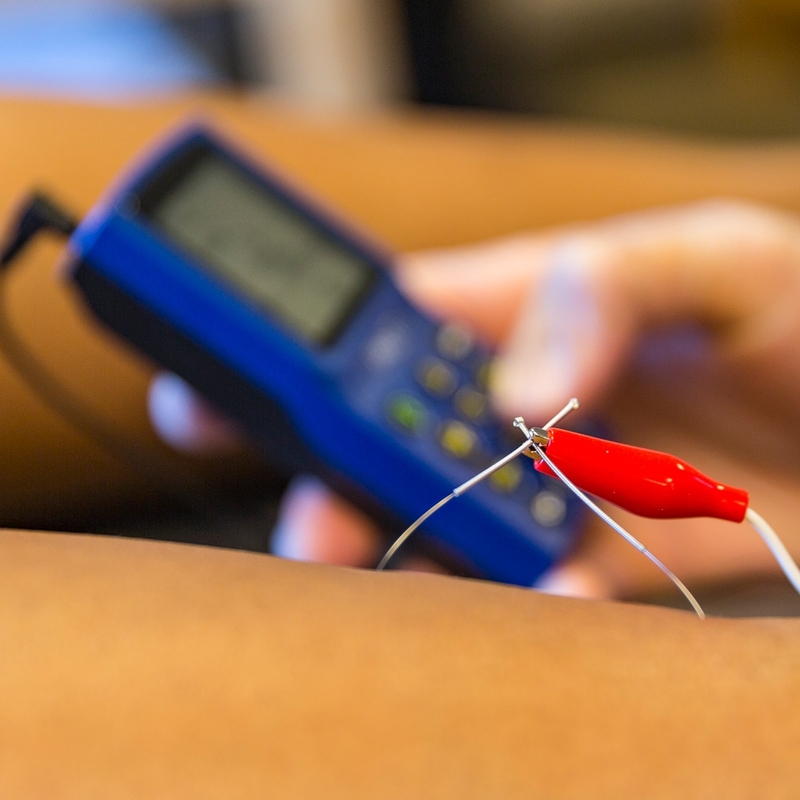 When combining Dry Needling with our other physical therapy treatment techniques, it has shown to be very effective for relieving muscular tension and pain with effects that typically last longer than massage or manual trigger point release alone. Dry Needling treatments are currently being offered at all of our centers. To schedule an appointment for Dry Needling please call 513.701.6100 or click the button below.